For the past few years I have been a big fan of AJ Fernandez cigars I think he blends some great tasting sticks. Visually inspecting this cigar I found it to be well constructed. The oscuro wrapper was rolled on with near seamless care and it only contained the finest of veins. Testing the aromas from the foot I found a pleasant mix of dried fruit and tobacco. Once the end was cut the free cold draw had the same fruity sweetness with a touch of white pepper. To the hand this was a fairly light cigar, it was packed well, but not as firmly as I expected it to be but there were no spongy areas. Once the Fallen Angel was burning the first few draws were a mild bodied mix of caramel, brown sugar, white pepper and tobacco. 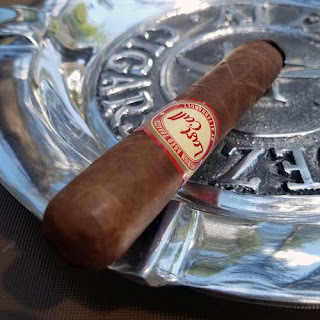 Into the second half of the cigar the smoke took on a dry red wine type of finish and the flavor mix turned to a combination of molasses, fruit and coffee. 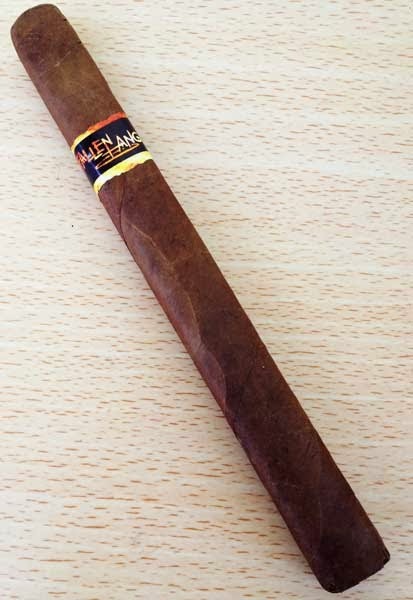 As the cigar finished the strength moved into the medium body range. Burn wise the Fallen Angel was great. The slightly wavy burn produced a soft dark gray striped as that surprised me by staying put until the middle of the cigar. Smoking time for this cigar was a respectable 60 minutes.